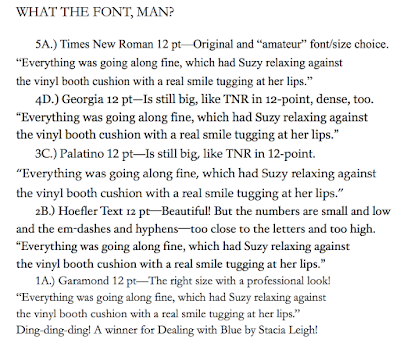 Stacia Leigh at Espial Design: What the Font, Man? I'm currently working away at a second edition of my debut book, Dealing with Blue. It's my first self-published book, so let's just say...mistakes were made. But it's the way I learn...hands on. Now, I've got some fixing to do. 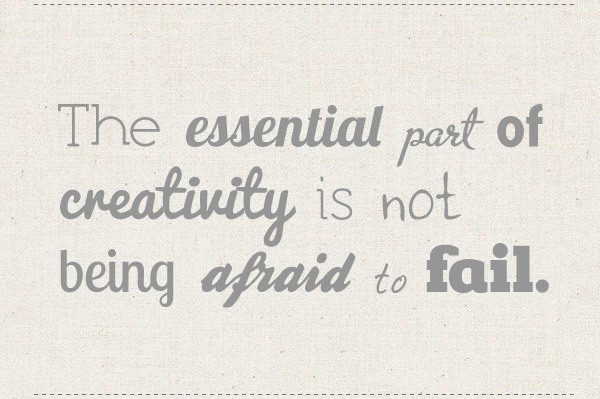 I'd played it safe, using the serif font Times New Roman in 12-point for the interior body text. When I published it, I thought the font was a bit on the large side. After doing some research and comparing it to other books, I discovered that using Times New Roman was frowned upon in general. Oh, boy. Here we go. 4. Georgia seemed too dense. 3. Palatino was okay but was also on the large side. 2. 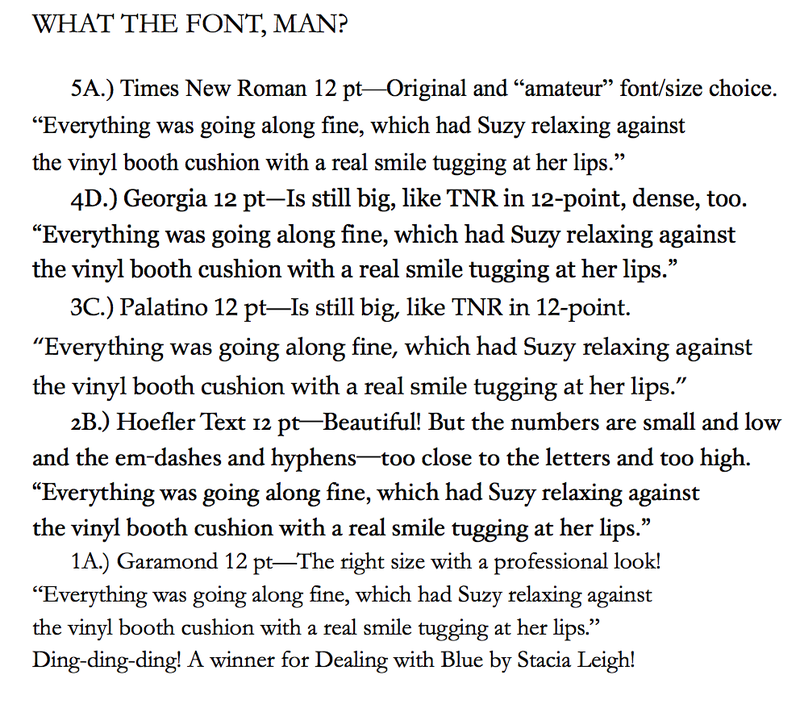 Hoefler Text was beautiful! I loved the look until I realized the hyphens and em-dashes were too high and interfered with letters like "r" and "f." I would have had to alter the baseline shift in each instance. Okay...maybe it was an option. But then add in the numbers...small and low. The chapter headings looked funny. I opted to pass for the sake of my sanity and ease with formatting. 1. Garamond turned out to be the winner. All around no fuss-no muss. Easy formatting, looks professional, easy on the eyes, and on the top of everyone's list as a text favorite. Works for me. 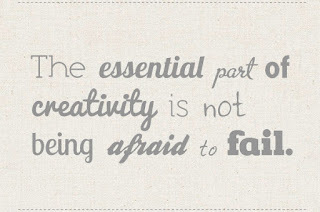 "The essential part of creativity is not being afraid to fail," some brilliant person said. Not Only "That" and "Just", but "Then," Too!